Top Rated Chemistry Tutors in New York City! Welcome to New York’s top-rated private chemistry in-home tutoring service! 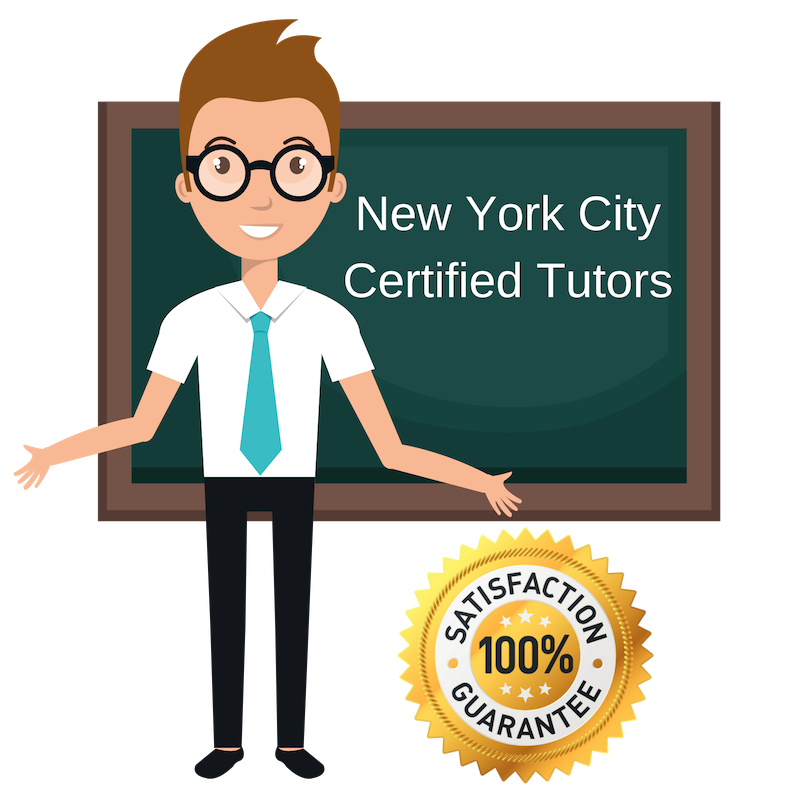 All of the following New York chemistry tutors are certified by Varsity Tutors, the leading tutoring agency in the country! All New York chemistry tutors have been background checked, been interviewed, had mock chemistry tutoring sessions, and been trained by professionals. We guarantee you will love your local New York chemistry tutor or your money back! Get information regarding a top-rated chemistry tutor today! Ever since I was a child, I thoroughly enjoyed school and understand the different ways in which people teach and learn. Today, I work as a tutor in New York City, NY and still find it fascinating observing the many ways different students learn best. My experiences as a tutor and a teaching assistant have taught me that the most effective way to help a student better understand material and improve academically is to focus strategies that specifically align with the student’s unique style of learning. Personally, I have earned a bachelor’s degree in urban studies and architecture from Columbia University and a master’s degree in fine art from CUNY Hunter College. In addition to my major coursework, I have excelled in mathematics and science courses and I am currently available as a tutor in chemistry, biology, mathematics, and writing. As a private tutor, I specialize in chemistry, biology, and mathematics. I studied writing and completed all required courses for the pre-medical track at Brown University, where I graduated with honors. As such, in addition to being able to help students out with math and science, I am comfortable working on college essays, writing revisions, and more. I have strong communication skills and find that I am able to easily connect with my students and begin dialogues about their study styles and what works best for them. Previously, I have worked as a teaching assistant and college counselor. I look forward to continuing my tutoring experience here in New York City, NY. I am a current undergraduate student living and studying in New York, but already have much experience tutoring. Throughout high school, I worked as a peer tutor and mentor alongside the National Honors Society. Additionally, I volunteered to act as an assistant for standardized test preparation for the SAT, SAT subject tests, and several AP exams. While I’m currently studying a number of general courses at Columbia University, I am also available to students in the New York City area as a tutor in chemistry, biology, standardized testing, and more. Originally from Kansas City, I have just graduated from NYU and am now living and working in New York City, NY. I completed a double major in acting and psychology and hope to use my studies and experience to help other students pursue their academic goals, tackle difficult courses, and improve their exam scores. My mixed background of art and science offers insight into a variety of study techniques which I am always eager to apply to new topics. I have a few years of experience tutoring with individuals ages 3-17 and am open to accepting students of any age in need of tutoring in chemistry, biology, psychology, and more. I am a psychology major at New York University with a minor in chemistry and a devotion to help others learn. In addition to my studies, I am currently working as a private tutor for individuals in New York City, NY who are hoping to improve their understanding of and performance in the sciences, standardized testing, or writing. Additionally, I have experience with the Spanish language and have taken several advanced courses in Spanish. As a tutor, I believe in encouragement and confidence-building, and for difficult topics, investigating which style of teaching works best for the individual student.